What is the difference between a corporate wrap and a custom wrap? Corporate wraps are typically done on vehicles to promote a product, service, or to advertise something. Custom wraps are generally for customization of a vehicle. Whether you are wanting to customize a vehicle by changing the color, or customize your boat with a cool design, our TEXAS WRAPS custom division is the right place for you. If you have ever wondered why someone would wrap a high end sports car a solid color instead of painting it, this is why: when you repaint a vehicle, it immediately loses value, because the next person to buy the vehicle has no idea if it was painted for cosmetic reasons, or if it was painted because it had been in a wreck. When you wrap the vehicle, it protects the paint and can be removed without damage if installed and removed properly. All of our custom work is quoted in house with a consultation. 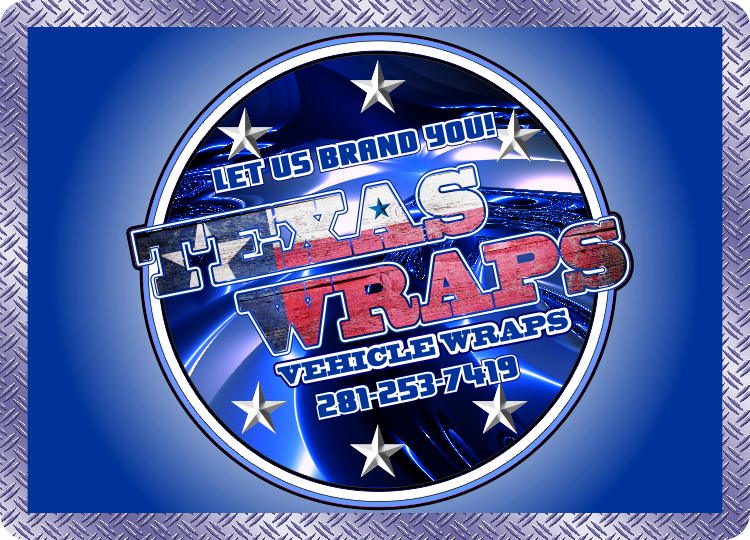 If you would like to request an appointment for a custom wrap consultation, please call 281-253-7419 and request an appointment with our custom wraps department. Carnival Signs Graphics for the Amusement Industry.